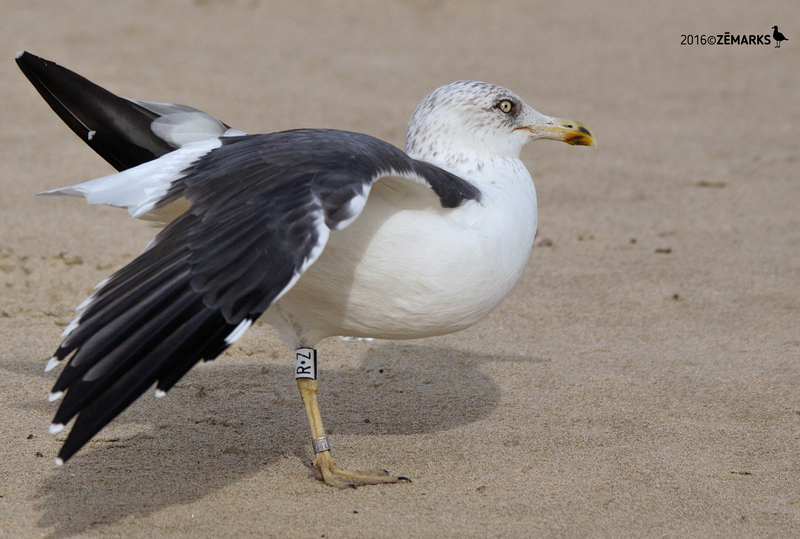 Lesser Black-backed Gull graellsii R.Z adult, November 2016 - February 2017, Matosinhos, Portugal. Picture: José Marques. below: Lesser Black-backed Gull graellsii R.Z adult, February 09 2017, Matosinhos, Portugal. Picture: José Marques. 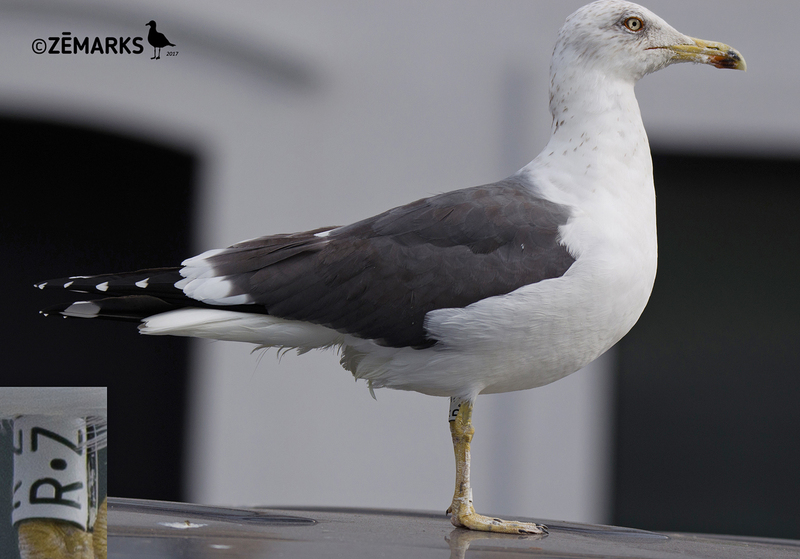 below: Lesser Black-backed Gull graellsii R.Z adult, November 14 2016, Matosinhos beach, Matosinhos, Portugal. Picture: José Marques. P8 fully grown, P9-P10 growing. No mirror on P9. Much black on bill.